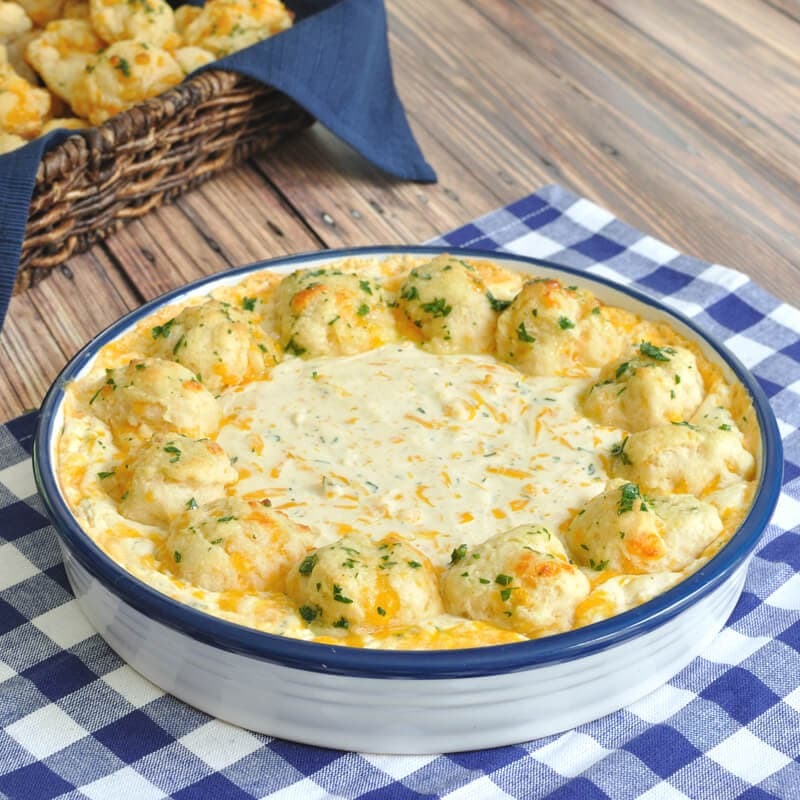 Are you still trying to figure out what you’re going to serve for this year’s Super Bowl? 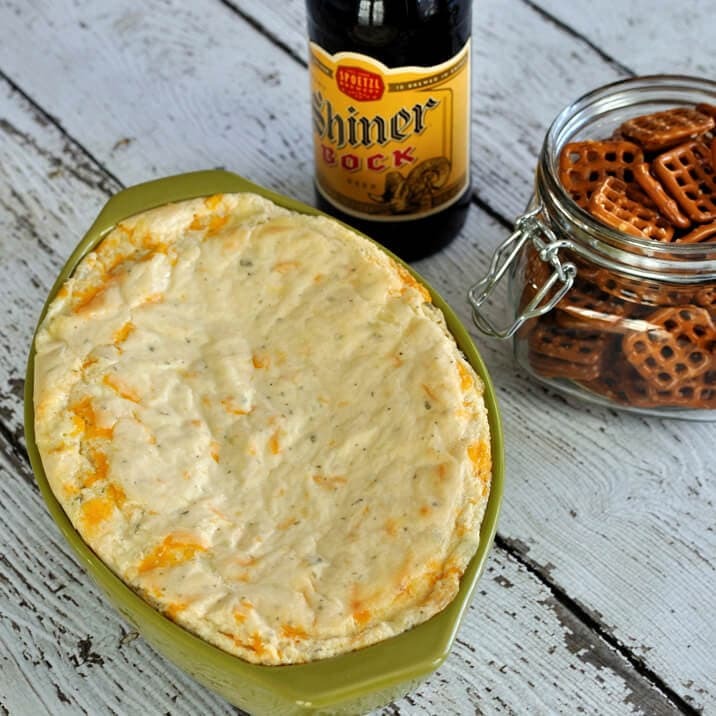 How about a fun and easy game day dip recipe? 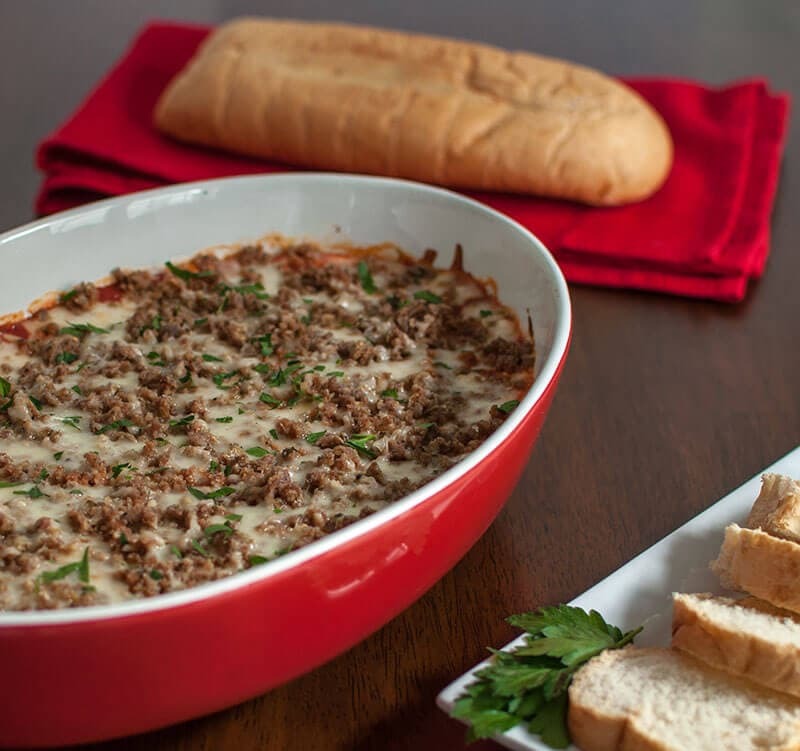 Well, I’ve got an idea for you 🙂 Add this Meatball Sub Dip to your Super Bowl party appetizer menu. There are just so many uses for meatballs- Serve over pasta, as an appetizer, or in the all time favorite sandwich: the meatball sub! Now there is one more way- in a dip! 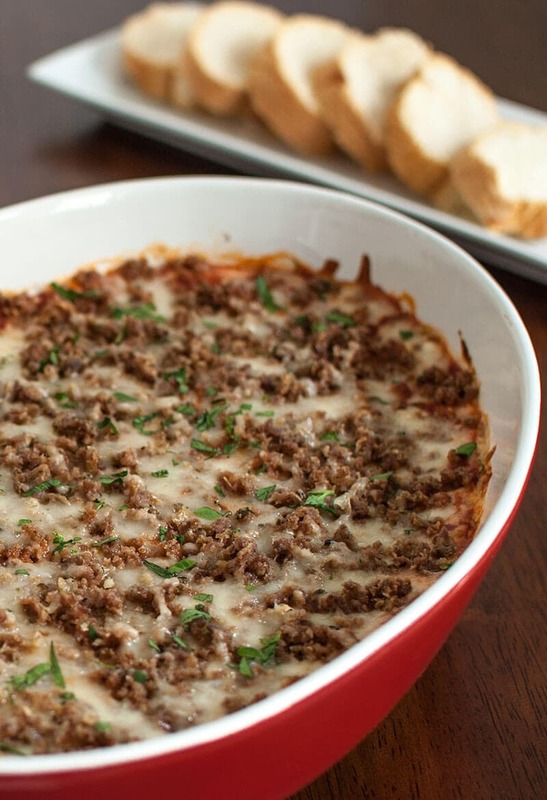 Meatball subs are a favorite football food and everyone loves a good cheesy dip. So I thought, let’s create a dip the features the great taste of the sandwich. You can use homemade or store bought meatballs and the same for the sauce. I personally have a thing about store bought frozen meatballs…I just don’t care for them. I’ve tried lots of brands and they all seem to have a funny taste to me. So I made my own baked meatballs using this recipe from Cook with Honey. 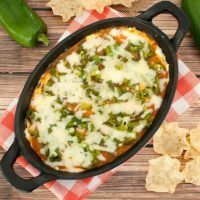 I made a whole batch and used 6 of them for this dip. Then I froze the rest for an easy weeknight dinner. Score! To crumble the meatballs, I used my Ninja blender and with a few quick pulses, I had perfect crumbles. 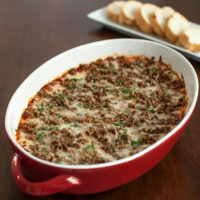 We’ll be heading out to a friend’s house for the big game and won’t be cooking, but I’d love to hear if you make this meatball sub dip for your party and how it turns out. Oh, and now for a random note. I just got a new lens for my camera and this is my first set of blog photos using it. I’m excited about my new toy although I still have a lot to learn in the world of food photography. Mix together ricotta, parmesan, garlic, black pepper, and oregano. Spread in the bottom of a small baking dish. I used a 13" oval dish that is about 2 1/2" deep. Top with marinara sauce. Then add the shredded mozzarella cheese. 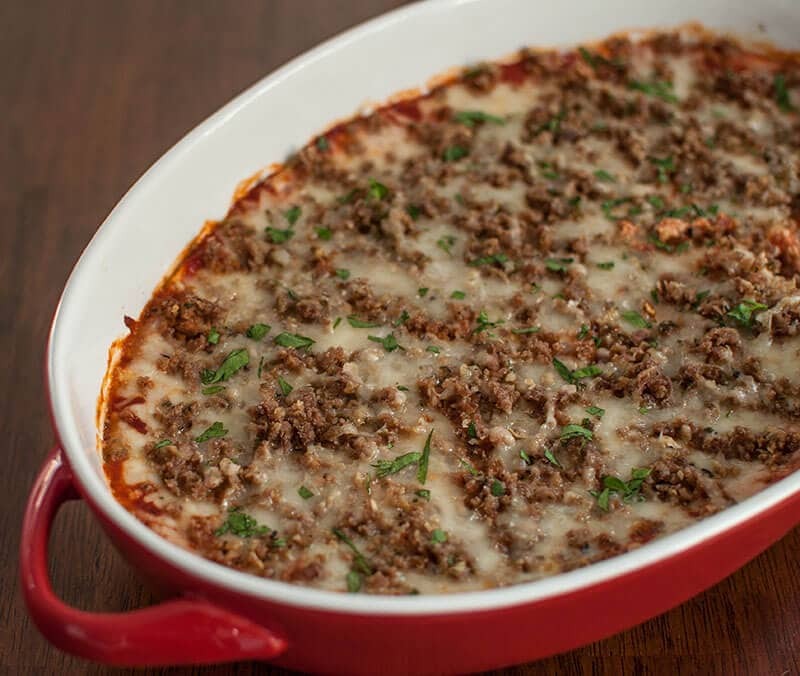 Bake for an additional 10 minutes or until the cheese is completely melted. 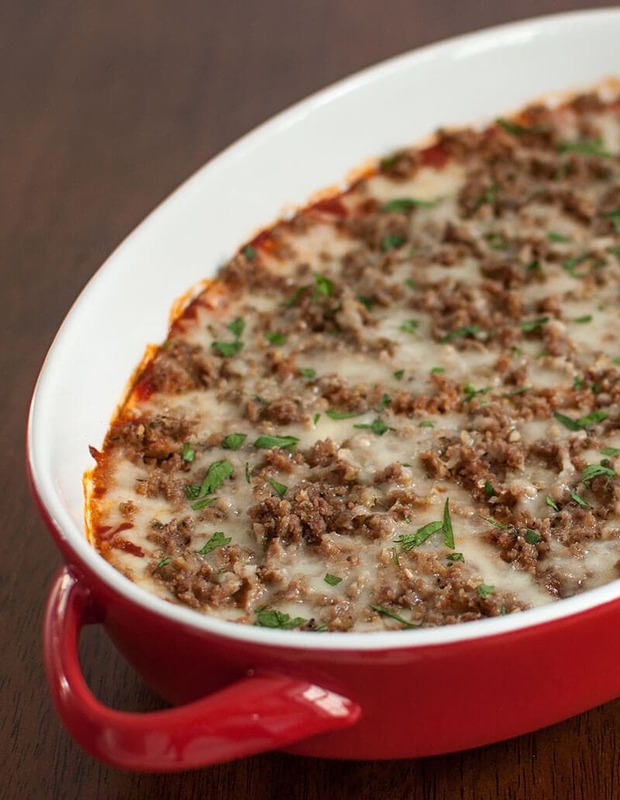 Allow dip to rest for 10 minutes before serving. If you use frozen meatballs, prepare the meatballs according to the package instructions. Once cooked, then crumble the meatballs for the dip. The best way to crumble the meatballs is to throw them in a blender and do a few quick pulses. You could also crumble with your hands if you wanted to. This sounds like an awesome dip! Yummy.